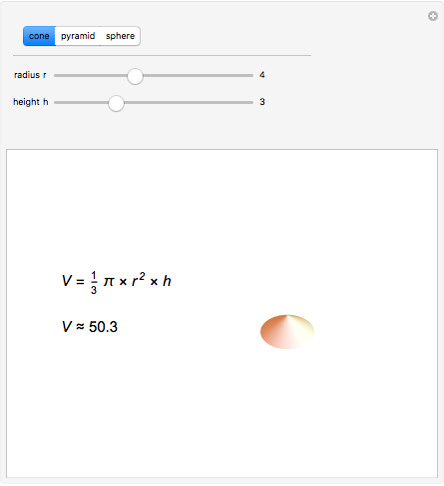 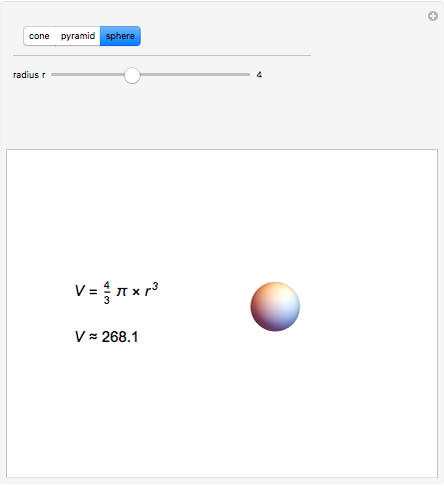 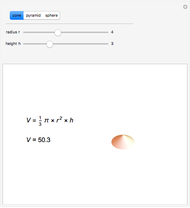 This Demonstration shows how to compute the volume of cones, triangular pyramids, and spheres. 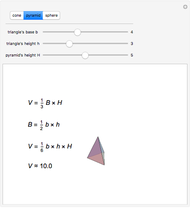 In the case of the pyramid, is the area of the triangle at the base of the pyramid. 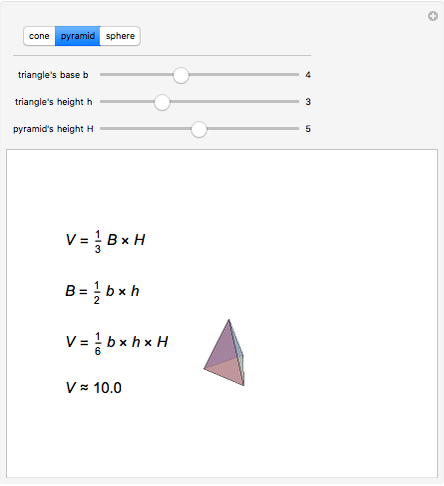 Sarah Lichtblau "Volume of Cones, Pyramids, and Spheres"